This house at the corner of West King Street and Middle River Road is famous for its fragrant lilacs, towering nearly 20 feet off the front lawn. They were in full bloom today. As I passed the back yard, however, I was greeted by a distinctly complementary smell. 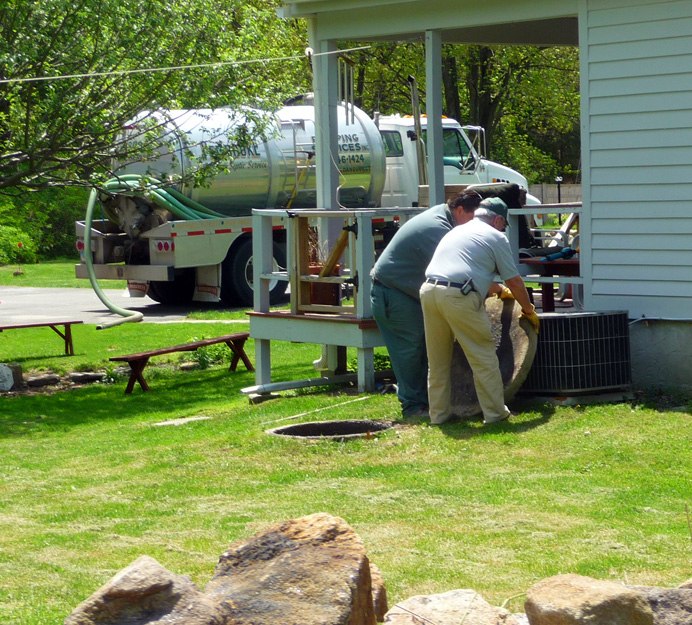 At that very moment, a pair of workmen happened to be opening the lid of the septic tank, preparing it for its biennial pumping. I found this olfactory mingling ironically appropriate. In the olden days, for precisely the same purpose, lilacs were customarily planted around outdoor privies. This house undoubtedly had one of those, for it was built in the late 1700s.